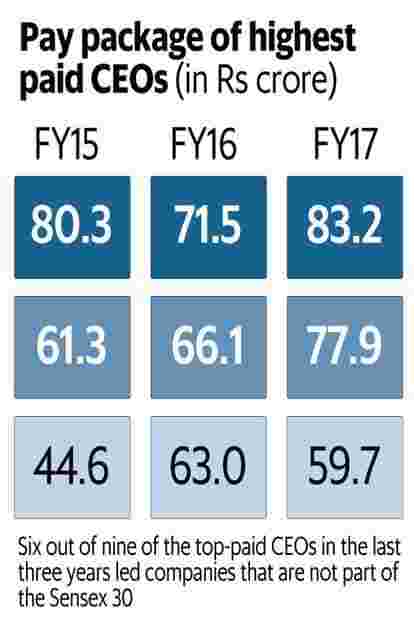 CEO salaries in top 500 Indian companies has outpaced performance in the past five years, according to an IiAS study on executive remuneration. 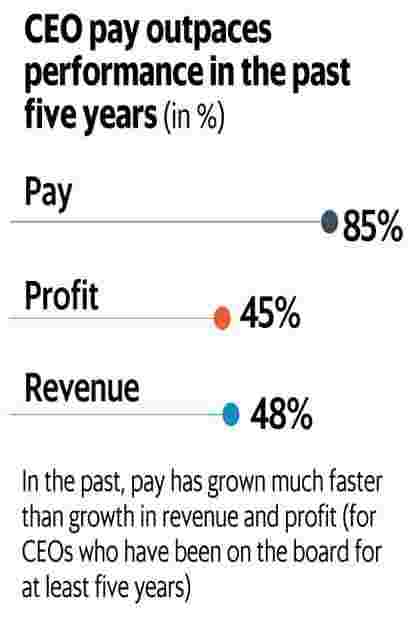 The growth in salaries of chief executives (CEOs) in the top 500 Indian companies has outpaced performance in the past five years, according to an IiAS study on executive remuneration. 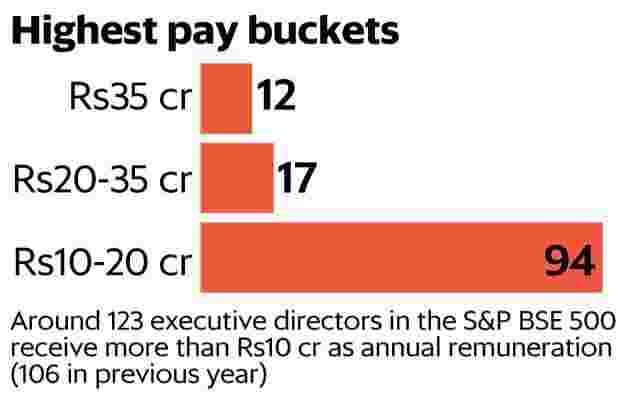 The number of executives getting paid over Rs10 crore has increased to 123, a 16% increase in just the past year. High CEO salaries are seen across the top 500 companies—and is not restricted to companies of size or those showcasing performance. Nomination and Remuneration Committees (NRC) need to guard against this, especially at a time when executive pay is becoming a pivotal theme in the corporate governance debate. They must devise pay arrangements with well-defined performance metrics and claw-back mechanisms, and make transparent disclosures that help stakeholders understand the remuneration payouts. If NRCs are not judicious about the level of CEO remuneration, boards may well face the ire of employees as well as greater investor scrutiny. 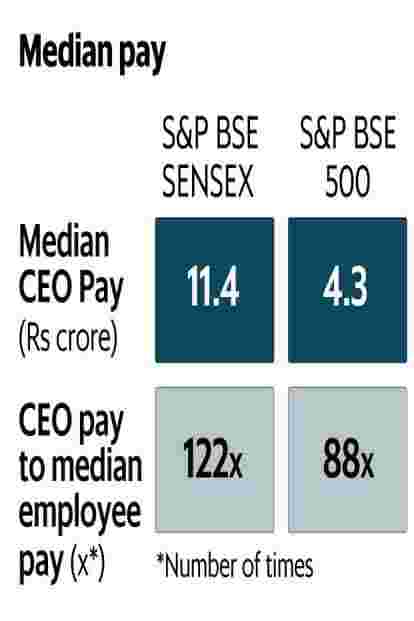 This is the first of a multi-part series on CEO pay put together by IiAS exclusively for Mint. Disclosures: ■ Data has been sourced from annual reports for S&P BSE 500 companies. ■ Data pertains to calendar year 2016 or FY2016-17 (depending on nancial year-end for respective companies). 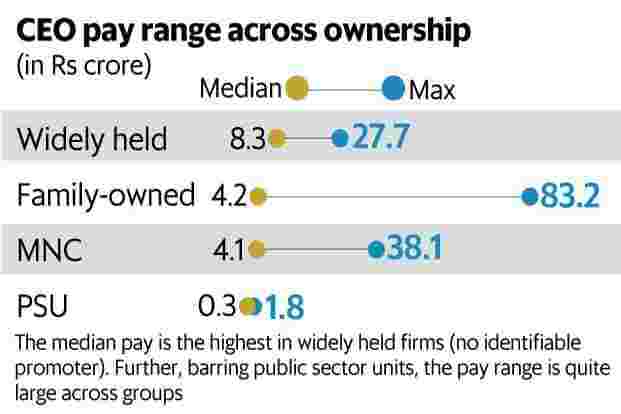 ■ PSUs have been excluded from the analysis, except for the pay range chart. ■ Fair value of stock options granted has been included while calculating overall pay.